This post first appeared on Sept. 15, 2009. There are two main types of writers in this world and here are three editing tips for each of them. It struck me immediately that my subscriber didn’t have specific enough goals. I told her that writing is kind of like climbing a mountain: You need to know where you’re going, how high it is (and therefore what training you need in advance), how long the trip will take, what the weather will be like etc. But you can’t answer any of those questions until you know which mountain you want to climb. Ah ha! The subscriber’s question wasn’t about writing. It was about editing. (1) People who dislike writing and who write under protest — words have to be extracted from them in the same way teeth have to be pulled out by a dentist. 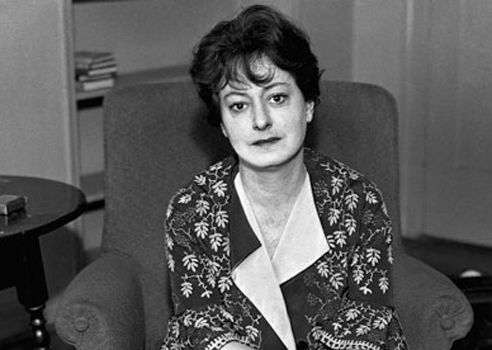 As Dorothy Parker (pictured above) said, “I hate writing but I love having written.” Writers like this, however — and I count myself one of them — generally enjoy editing. * Remember that no one — not even the greats such as Jane Austen and Charles Dickens — were able to produce a perfect draft without rewriting. The first draft is only the first step. Think about Brendan Gill, for example. He wrote many spectacular pieces for the New Yorker magazine, and, typically, went through 17 drafts of his work that was published. Seventeen! That number boggles my mind, even though I’m a devoted rewriter. *Reward yourself for editing. As I do for writing, give yourself little “treats” whenever you work really hard at editing. *Set a schedule for editing and treat it as urgently as your treat your daily writing. For example, you might decide to edit for 20 minutes a day. Pick a time that’s unlikely to be compromised (early morning is always good) and get to work. Making a good plan never hurts writing — it only helps. Ditto for editing. Do you prefer editing or writing? We can all learn from each other so, please, share your thoughts with my readers and me in the “comments” section below. Anyone who comments on today’s post (or any others) by August 31/16 will be put in a draw for a copy of So You Think You Know English by Gordon Osmond. Please, scroll down to the comments, directly underneath the “related posts” links, below. Note that you don’t have to join the commenting software to post. See here to learn how to post as a guest.